Australia’s leading transport and logistics magazine. Australasian Transport News (ATN) delivers the impact of the printed page with the immediacy and convenience that comes from delivery on Zinio Featuring all the same great content, insight, business intelligence and reviews as the print magazine, it is an essential tool for all transport professionals looking to leverage Australia’s leading transport industry title. 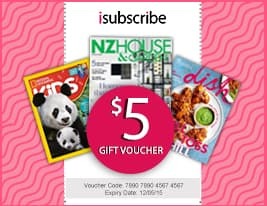 Be the first person to tell us what you think about Australasian Transport News (ATN) and you'll save $5 on your next purchase!